AleaSoft provides energy forecasting of price, demand, wind and solar power production for the Spanish and Portuguese market (MIBEL). The AleaPriceShort solution generates hourly forecasts of the Daily Market Price for Spain and Portugal for the short term, with a 10 day horizon (from D+1 to D+10). The AleaPriceShort solution includes options for the visualization of supply curves, and for the simulation of different supply curve scenarios. Furthermore, hourly forecasting of prices of intra-daily markets 1 and 2 are generated, as well as those for the secondary band. The AleaPriceMid solution generates hourly forecasts of the Daily Market Price for Spain and Portugal for the mid term, with a 3 year horizon. The AleaPriceMid solution includes the scenario tools for fuels (Oil, Gas, Coal) and other variables used in price forecasting (CO2, exchange rates, demand, hydroelectric production, nuclear production, wind power production, etc) in order to obtain alternative price forecasting by considering the possible values of these variables. AleaPriceLong solution generates monthly forecasts of Daily Market Price of Spain and Portugal for the long term, with a horizon of up to 10 years. The AleaPriceLong solution is flexible, in order to adapt to the criteria of your requirements. The AleaPriceLong solution includes scenario tools for fuels (Oil, Gas, Coal) and other variables used in price forecasting (CO2, exchange rates, demand, hydroelectric production, nuclear production, wind power production, etc) in order to obtain alternative price forecasting by considering the possible values of these variables. 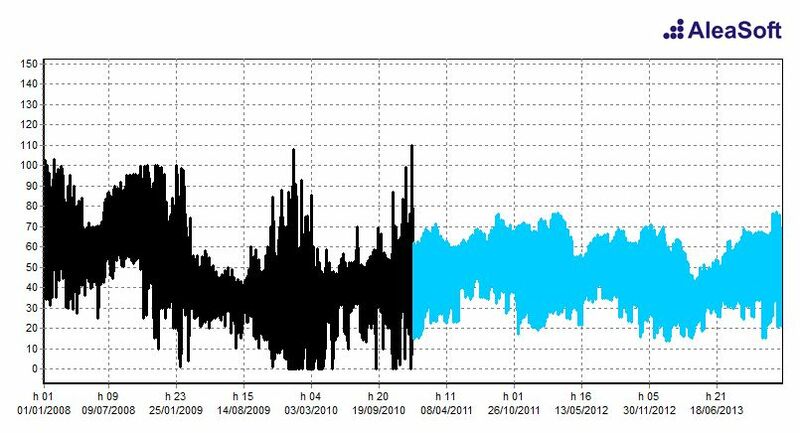 AleaDemandShort generates hourly forecasts of the energy demand for Spain at a short term, with a 10 day horizon. The AleaDemandMid solution generates hourly forecasts of the Daily Market Price for Spain and Portugal for the mid term, with a 3 year horizon. Confidence interval information, providing information about complementary forecasts which are important to consider in the decision-making process. AleaDemandLong generates monthly forecasts of energy demand for Spain at a long term, with a horizon of up to 10 years. The AleaDemandLong solution is flexible, in order to adapt to the criteria of your requirements. Possibility of selecting one of several models to generate the forecast, allowing to obtain different forecasts for the same variable. Confidence interval information, giving information about complementary forecasts to consider in the decision making. Sensitivity analysis tools of the demand related to the temperature and economy evolution. 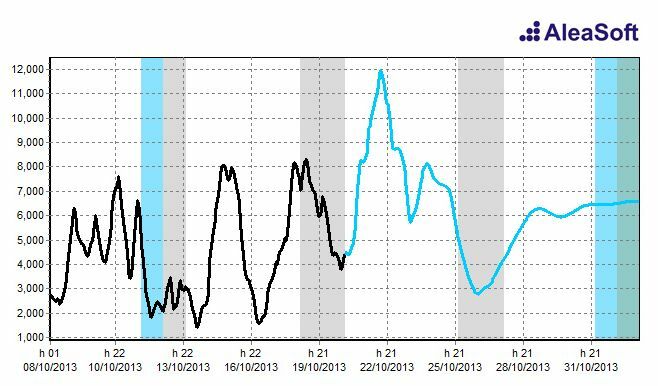 AleaDemandShort generates hourly forecasts of the energy demand of Portugal for the short term, with a 10 day horizon. 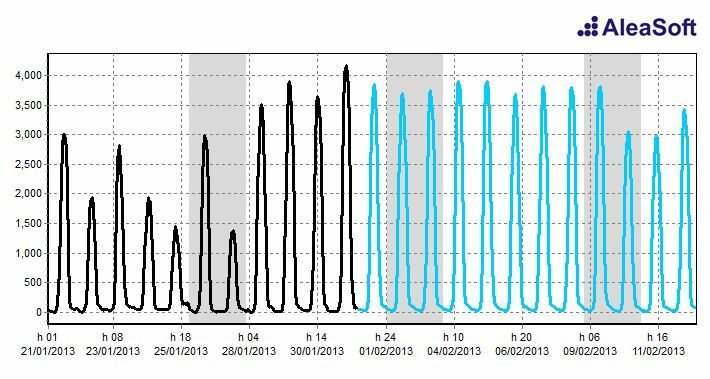 AleaDemandMid generates hourly forecasts of the energy demand of Portugal for the mid term, with a 3 year horizon. Confidence interval information, providing information about complementary forecasts to consider during the decision-making process. AleaDemandLong generates monthly forecasts of the energy demand of Portugal for the long term, with up to a 10 year horizon. The AleaDemandLong solution is flexible, in order to adapt to the criteria of your requirements. Possibility of selecting one of several models to generate the forecast, allowing to obtain different forecast for the same variable. AleaWind generates hourly forecasts of wind power production of wind farms in Spain and Portugal for the short term, with a 13 day horizon (from D+1 to D+13). AleaSolar generates hourly forecasts of solar power production in Spain and Portugal for the short term, with a 13 day horizon (from D to D+12).